The Wm. 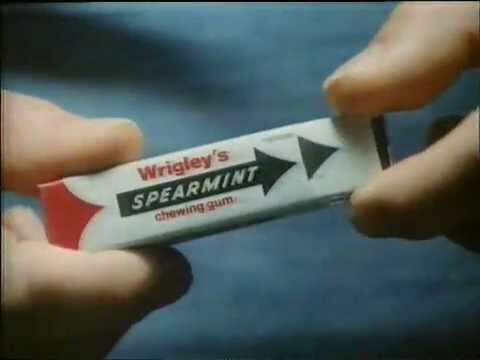 Wrigley Jr. Company, known as the Wrigley Company, is an American chewing gum company founded on April 1, 1891, by William Wrigley Jr., based in the Global Innovation Center (GIC) in Goose Island, Chicago, Illinois. It is wholly owned by Mars, Incorporated. It is currently the largest manufacturer and marketer of chewing gum in the world. 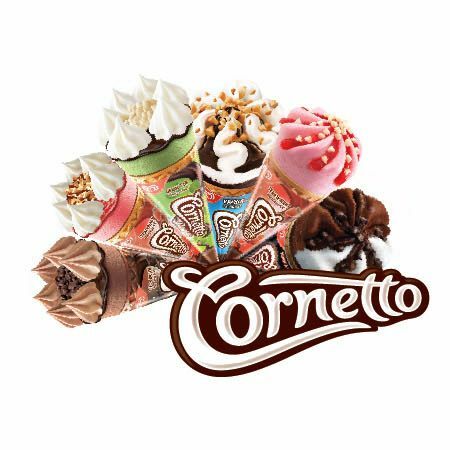 Cornetto (Italian pronunciation: [korˈnetto]), meaning little horn in Italian, is a branded frozen dessert cone manufactured by Unilever and sold under various international subsidiary names, including Wall’s in the UK, HB in Ireland, Frigo in Spain, Kwality Wall’s in India, and others. Several variations of the product exist, ranging from milk-based ice cream to vegetable fat-based dessert. Wispa is a brand of chocolate bar manufactured by Cadbury UK. The bar was launched in 1981 as a trial version in North East England and with its success it was introduced nationally in 1983. 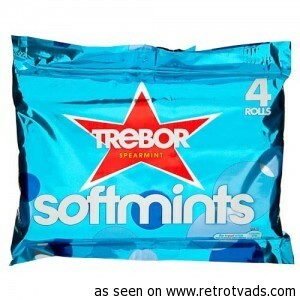 It was seen as a competitor to Rowntree’s Aero (now owned by Nestlé). In 2003, as part of a relaunch of the Cadbury Dairy Milk brand, the Wispa brand was discontinued and the product relaunched as “Dairy Milk Bubbly”. As part of the relaunch, the product was reshaped as a standard molded bar (similar to other ‘Dairy Milk’ products) instead of a whole-bar count-line. However, in 2007, helped by an internet campaign, the Wispa bar was relaunched, albeit for a “limited period”. In October 2008 Wispa returned again to shops in the UK and Ireland due to the chocolate bar’s popularity during the previous limited period release. A product known as Cadbury’s Wispa, resembling a moulded Dairy Milk bar with bubbles and with different packaging, is available in some other countries, including Romania. In 1824, John Cadbury began selling tea, coffee, and drinking chocolate, which he produced himself, at Bull Street in Birmingham, England. He later moved into the production of a variety of cocoa and drinking chocolates, made in a factory in Bridge Street and sold mainly to the wealthy because of the high cost of production. John Cadbury became a partner with his brother Benjamin and the company they formed was called ‘Cadbury Brothers of Birmingham’. The brothers opened an office in London and in 1854 they received the Royal Warrant as manufacturers of chocolate and cocoa to Queen Victoria. In the 1850s the industry received a much needed boost, with the reduction in the high import taxes on cocoa, allowing chocolate to be more affordable to everybody. In October 2007, Cadbury announced the closure of the Somerdale Factory, Keynsham, formerly part of Fry’s. Between 500 and 700 jobs were affected by this change. Production transferred to other plants in England and Poland. 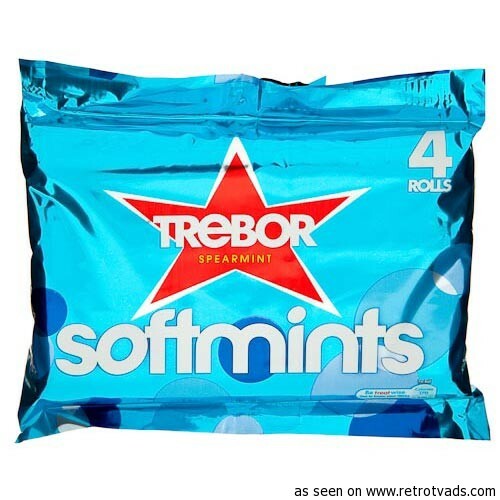 In 2008 Monkhill Confectionery, the Own Label trading division of Cadbury Trebor Bassett was sold to Tangerine Confectionery for £58 million cash. This sale included factories at Pontefract, Cleckheaton and York and a distribution centre near Chesterfield, and the transfer of around 800 employees. In mid-2009 Cadbury replaced some of the cocoa butter in their non-UK chocolate products with palm oil. Despite stating this was a response to consumer demand to improve taste and texture, there was no “new improved recipe” claim placed on New Zealand labels. Consumer backlash was significant from environmentalists and chocolate lovers. By August 2009, the company announced that it was reverting to the use of cocoa butter in New Zealand. In addition, they would source cocoa beans through Fair Trade channels. In January 2010 prospective buyer Kraft pledged to honour Cadbury’s commitment.